Kerstin Allvin has won numerous awards and competitions throughout her career as a concert harpist and has performed across the U.S. from Weill Recital Hall at Carnegie to the historic Carmel Mission in California. She has frequented Japan, performing solo concerts at the prestigious Suntory Hall in Tokyo, the Nogi City Hall, and for Detroit/Toyota City’s Sister City Association. She holds degrees, honors and performance certificates from Indiana University, the University of Michigan, and post-graduate studies with Jaqueline Borot, Honorary Professor of the Paris Superior Conservatory of Music. Ms. Allvin has created and administered several groups in her career, including the Larson/Allvin Duo (flute and harp) the Arianna Harp Duo (two harps) and the Woodland Trio (flute, harp and viola), touring the US, Europe, Japan, China, Scandinavia, Canada and North Africa. She was a guest artist of the city of Préfaille, France, teaching master classes in harp performance, breathing techniques and yoga to music students from around the world, and performing concerts for the World Music Festival in Préfaille. She is an extra with the Detroit Symphony Orchestra and has been a guest Principal Harpist on tour and at home. Kerstin was voted “Best Classical Instrumentalist” by the Detroit Music Awards and is President of High Heel Records, Inc., producing and recording digital music for Internet and CD release nationally. Her acclaimed release, “An Affair of the Harp,” contains the solo and chamber music of composer James Hartway receiving Detroit Music Award’s “Outstanding Classical Recording.” In both 2009 and 2012 her recording of “La Jardin Mouille” for the POLYMNIE label was voted the top #1 piece broadcast by Radio Classique France for 4 consecutive weeks. She has recorded on the NAXOS label. Kerstin is currently working with Detroit’s award winning tenor saxophonist, Christopher Collins. In the spring of 2015 they released a recording of original music for their “New Directions Quartet” with harp, woodwinds, bass and percussion titled “Detours” She has recorded with Stevie Wonder, Oleta Adams and R. Kelly and performed with Josh Groben, Natalie Cole, The Three Tenors and many others. Kerstin Allvin has received her Registered Yoga Teacher certification from National Yoga Alliance and has given lectures in breathing techniques, body awareness and yoga to creative arts majors in universities and high schools throughout Metro Detroit. 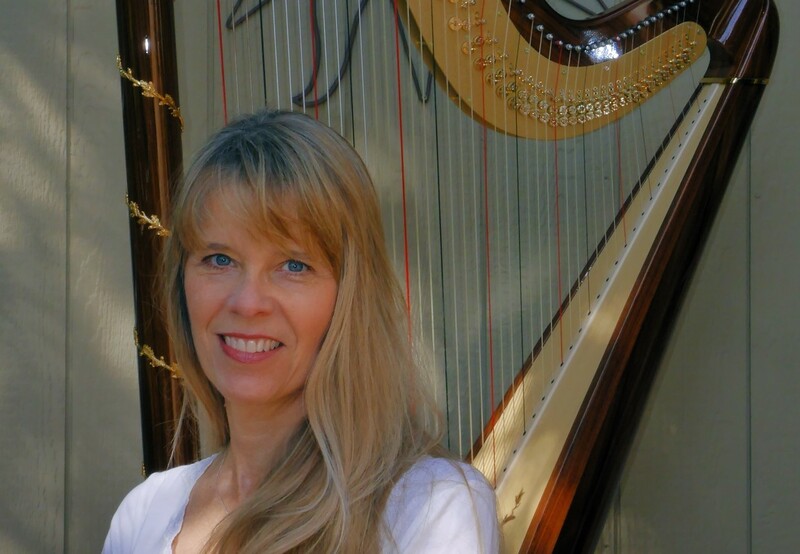 She teaches harp at Oakland University, Cranbrook Educational Community and maintains a private studio.